Greg Lake was always the centerpiece of ELP, not just initially but within the band's structure as well. Having produced the band's first five albums, as well as being the guitarist, bassist and vocalist, made Greg Lake one of the true masterminds of the new progressive movement of the time. Over the course of those first five albums, ELP had classics like "From The Beginning," "Still...You Turn Me On," and "Lucky Man," all of which were written by Lake. His writing talents can be heard throughout much of the band's catalog. Now, with Lake well into his 60's and ELP dissolved, he is starting to reflect back on his life and career in music with an autobiography (entitled "Lucky Man") and this CD, Songs Of A Lifetime. Not to forget his brief stint as a member of King Crimson, one of prog rock's most highly revered bands, Lake touches upon that time as well in this very personal and touching set of music and storytelling. This CD is a live recording that delivers all the songs that the majority of his fans want to hear. He performs them while in fine voice and doesn't disappoint on any musical level whatsoever. But, as I went into this CD, I was thinking that was a given. ELP were introduced to me at a very young age, and they were simply the most talented band in the world. Each guy was just insanely talented and the very best at their craft. So, I knew that Lake's ear for perfection and pride in being one of the best would allow for nothing but a top notch performance. After spinning this disc a few times I came to find that the real draw here is the charm and magnetism of Lake's spoken word. 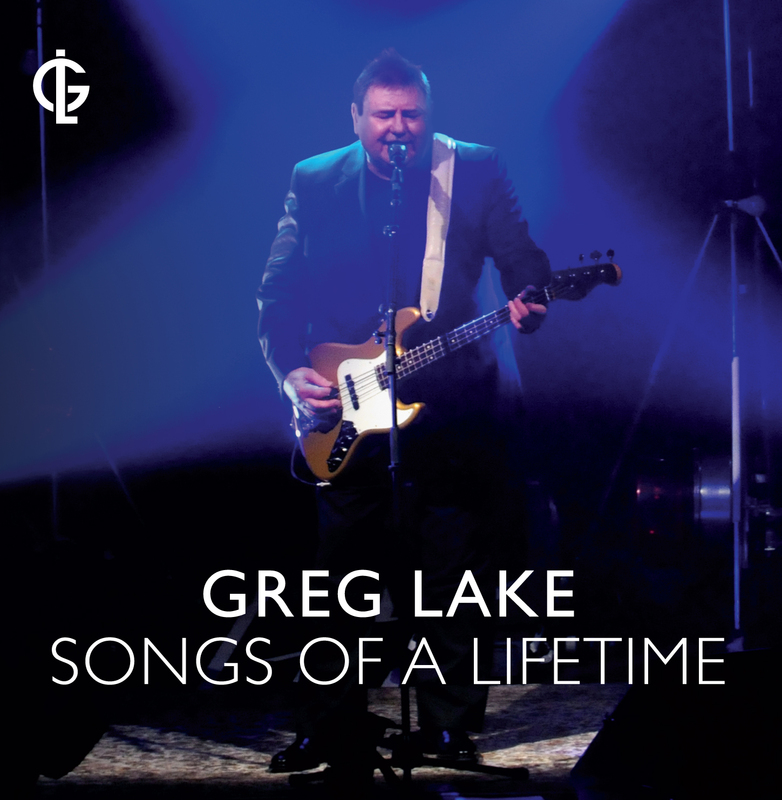 Songs Of A Lifetime is like having Greg Lake in your living room for tea. I began to find myself skipping over the songs to get to the stories. Just hearing Lake cut into "Heartbreak Hotel" would be cool enough, but to hear him tell the story of seeing Elvis for the first time is really what drives the song into your heart. So many of the songs on this disc are enriched in the same way. Hearing a tale of his experiences while on tour with Ringo Starr, and then hearing him cover The Beatles' "You've Got To Hide Your Love Away" really makes it all so pleasant and warm. Warm I think is the operative word here. Greg Lake is someone that you want to spend time with. His soothing voice is like a fireplace on a winter's night, and his storytelling is just riveting. His gentle nature and humble disposition is something that makes this a very comforting listen. There's no shortage of stories to be told for Lake, either. He tells us how the classic cover art of the first King Crimson record came to be. He shares the story of getting his first guitar, and how "Lucky Man" was written and recorded. You start to get the feeling that he could read the stock market report and make it sound warm and fuzzy. The end of this CD is a very sad moment. It's when Greg leaves the living room and all the tea has been expired. At one point during the story of his Elvis experience, Lake tells how the now infamous announcement "Elvis has left the building" was really announced, and how the sadness of that reality fell hard upon the audience. The end of this CD has a similar impact. I hate getting to the end of this disc, but I treasure the fact that I can steep the tea and reset the table with the simple touch of the play button. It is with great pleasure that I bring you my conversation with the great Greg Lake. At 8 years of age, I had the opportunity to see Emerson, Lake and Palmer perform, it changed the way I saw music. The band inspired a young boy to explore every facet of music. Before the concert I knew about nothing more than Kiss and Aerosmith, but by the end of ELP's set my mind was split open like a cracked egg. I felt like Columbus, ready to explore the new world. 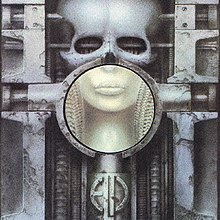 Over the years I have explored almost every genre of music, and I have ELP to thank for the inspiration. So, as you might imagine, speaking with Greg Lake was a true honor for me. Greg Lake is a wonderful conversationalist and storyteller. He answers every question in extreme detail, and always has something interesting to add. Like he exhibits on his latest CD, Songs Of A Lifetime, Lake is a cordial man with a warm personality. By listening to the audio of our conversation you can experience that warmth first hand. Below I have included the questions that I asked Greg, and the time in parenthesis is exactly where in the audio file you can listen to the answer. I highly recommend setting aside an hour to listen to the entire conversation if at all possible. It really is a great listen. CLICK THE PLAY BUTTON TO HEAR GREG LAKE! !